Riverside Apartment in London is an apartment building. 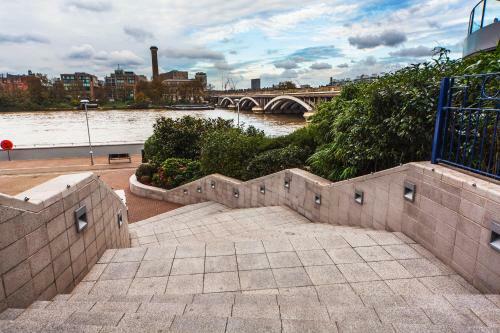 Located in London, Riverside Apartment is a self-catering accommodation featuring free WiFi access. 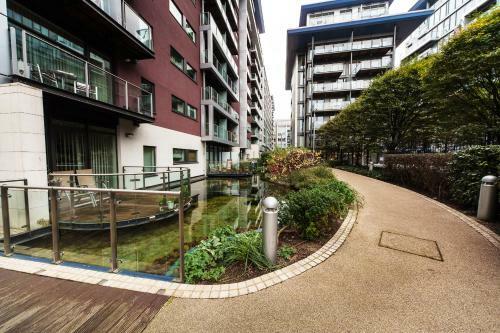 It is a 5-minute walk from Battersea Park and a 10-minute walk from Battersea Park Train Station. 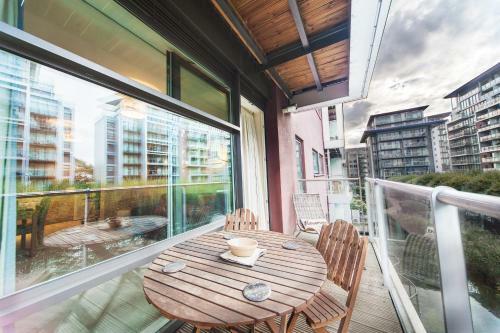 Offering a balcony, the 2-bedroom apartment features a living room with seating area, flat-screen TV and an open-plan kitchen with a dishwasher and a microwave. The private bathroom is fitted with a bathtub. London city centre is located 2.5 km from the accommodation, while London Heathrow Airport is ...21 km away. 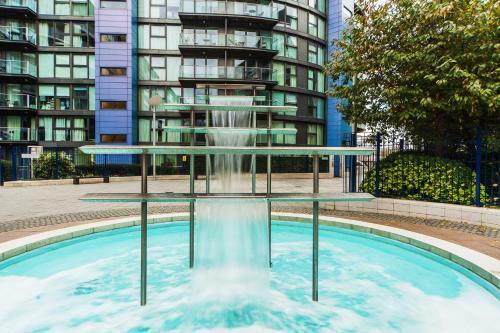 Located in London, Riverside Apartment is a self-catering accommodation featuring free WiFi access. 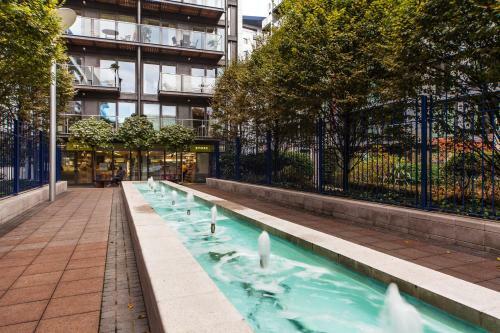 It is a 5-minute walk from Battersea Park and a 10...-minute walk from Battersea Park Train Station. 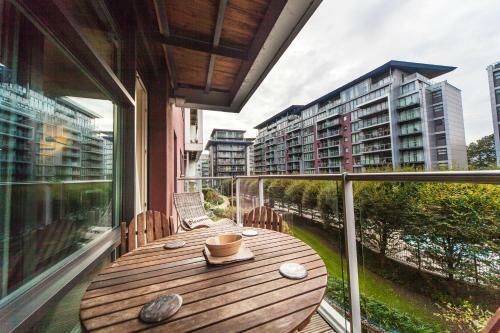 Offering a balcony, the 2-bedroom apartment features a living room with seating area, flat-screen TV and an open-plan kitchen with a dishwasher and a microwave. The private bathroom is fitted with a bathtub. London city centre is located 2.5 km from the accommodation, while London Heathrow Airport is 21 km away. When would you like to stay at Riverside Apartment? Children and extra beds Up to two children under 16 years are charged GBP 10 per night when using existing beds. All children under 2 years are charged GBP 10 per night for children's cots/cribs. All children under 12 years are charged GBP 15 per night for extra beds. All further older children or adults are charged GBP 25 per night for extra beds. The maximum number of extra beds in a room is 1. Supplements are not calculated automatically in the total costs and will have to be paid for separately when checking out. Any type of extra bed or child's cot/crib is upon request and needs to be confirmed by the innkeeper. A security deposit of GBP 350 is required upon arrival for incidentals. This deposit is fully refundable upon check-out and subject to a damage inspection of the accommodation. You must show a valid photo ID upon check-in. Please note the payment must be from the original card, and the cardholder must be present. Kindly note the guest is liable for any damages made to the property by themselves during their stay, and will be charged for damages if necessary.